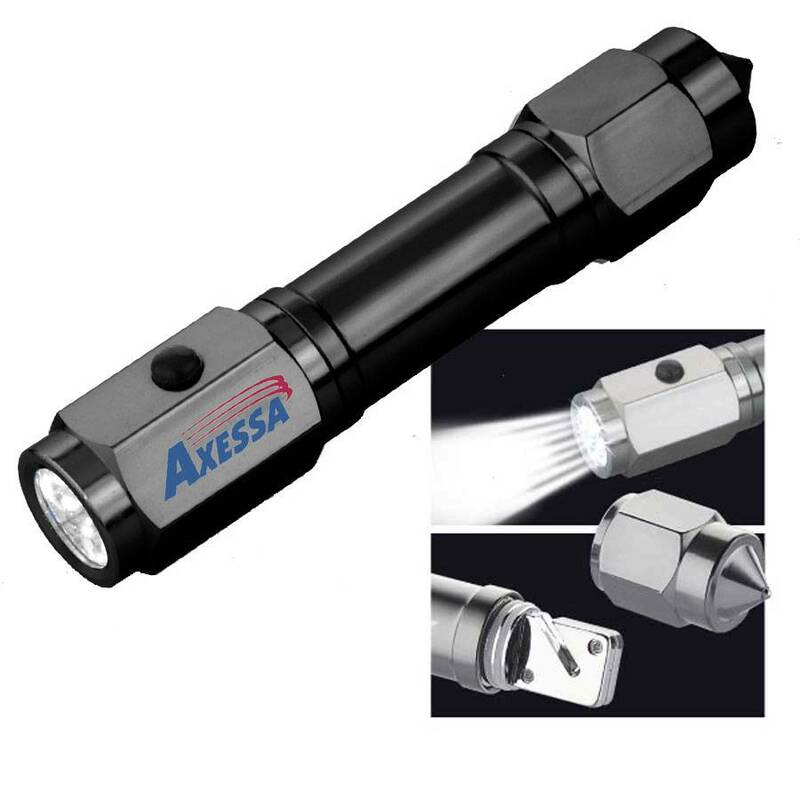 Heavy-duty double-ended gunmetal auto escape tool.with 8 white LED lights. Flashlight has eight(8) WHITE LED lights. Price includes your logo and Safety Milestone Message or Slogan.